Early in my adult life, I once had the belief that I would “settle down” and: (1) earn a formal education; (2) become satisfied with a level of wealth; (3) get married and have children; (4) work a traditional 8 to 5 job with benefits and meager vacation days. I accomplished at least three of the above four ‘settled’ objectives. But later in my life, I always wanted something much better. I didn’t know exactly what it was specifically, but I always attempted to stretch my view….my mental view that is. Traveling around the world excites me, especially when wanting to meet new people! Having simple conversations with others allow me to become better as a listener. The sound waves and pitch patterns of various human voices echoing through my ear canal creates a hunger for knowledge and understanding. Go on a short-term mission trip! Let’s go people and do some good! How can one deal with ‘past issues?’ The answer is simple: ANSWER IT! There is usually a word that typifies the issue. For example, let’s say you were involved in a bad relationship and you don’t know how to get past the issue. The goal is to remove yourself from the situation and ‘press on.’ You might say, we’ll just leave the relationship – most will do that. However, the odds at keeping a positive new relationship will falter because of dealing with similar issues that may be that of past relationships. Identifying the problem and addressing them may take some time to complete. But the process is one that give you satisfaction and redirection to fulfill your passion. Your passion to help others may be found in the example of your past! This month, I had the privilege of attending a religious conference in Richmond, Virginia Well over 7,000 conference attendees swarmed the city for a 3-day course of learning and networking. Exhibitors of the conference represented some 285 mission related world-wide organizations all vying for the attention of conference goers. As I gazed from a glass room on the second floor above the massive exhibit hall, it looked like a typical convention. I couldn’t help but to notice hundreds of two legged creatures moving about the exhibit corridors carrying stuffed plastic bags full of literature, books, conference tchotchkes, and plenty of unnecessary sugary treats. Don’t forget the colorful/creative booth space designs also appealing to your attention. But this particular conference is quite different from the hundreds I’ve attended over the past 15 years. These 285 exhibitors primarily represented outreach ministries stationed in some 145 countries world-wide! From US based ministries like Christian Appalachian Project of Kentucky to Bach Christian Hospital of Pakistan, all present to attract mission minded candidates for short or long term mission opportunities. Many prospect candidates attending this conference are college bound youth looking to plunge into some kind of spiritual global trek adventure. Adults like myself, look forward to networking and collaborating. I believe the core of the three day recruitment tangle between mission candidates and outreach ministries is to channel our focus on Kingdom building. God has uniquely given ‘us’ people passion – to help those who aren’t capable to help themselves. Beyond the exchange of brochures, business cards, books, confectionary candies, and gawking at international artwork and crafts comes the real work. It is the stories of people throughout the world who some tonight may face starvation, illness, sudden death, religious persecution, or the quickening to leave their home because of tribal warfare. It’s not new to us that the world is besieged by strife and trials. The question is often ask…Who shall go to help? Who will advocate and confront these terrible issues? The notion of being surrounded by 7,000 conference goers and 250,000 US missionaries currently serving around the world, a level of confidence is obvious that ‘someone’ is doing ‘something’. Unfortunately, the 80/20 rule may apply…after the convention, some conventioneers may go back to their busy lives, responding to Twitter, Facebook, occupying a work cubical Monday thru Friday for several hours, and playing the day care shuttle. Others may view and pour over the free literature once they go back home and pray to ‘fit’ a mission schedule into their personal calendar for next year. Only a few will answer the call; leaving the comforts of home for the sake of giving comfort to those who haven’t had a fair chance to live in dignity. The “few” possess God’s overflowing passion to take that risk, defy the odds, and ignore the criticism of family members and friends. It is that overflowing passion that keep them up in the wee hours of the night. It is that overflowing passion that encourages them to hear successful stories of other missionaries overcoming challenges in unreachable communities. It is that overflowing passion where God is speaking and providing the next steps for kingdom assignments. It is that same overflowing passion that caused me to buck the trend of what people my age aren’t doing yet. What is that God overflowing passion that possesses you – yet you decided not to have a ‘coming-out’ party? Is it causing you to change? Is it causing you to breakout yet? Go for it! Don’t be scared…do it today. It’s been several months since I last wrote on my blog. The temporary absence was due in part that I was blessed to lead mission teams into two Caribbean destinations. 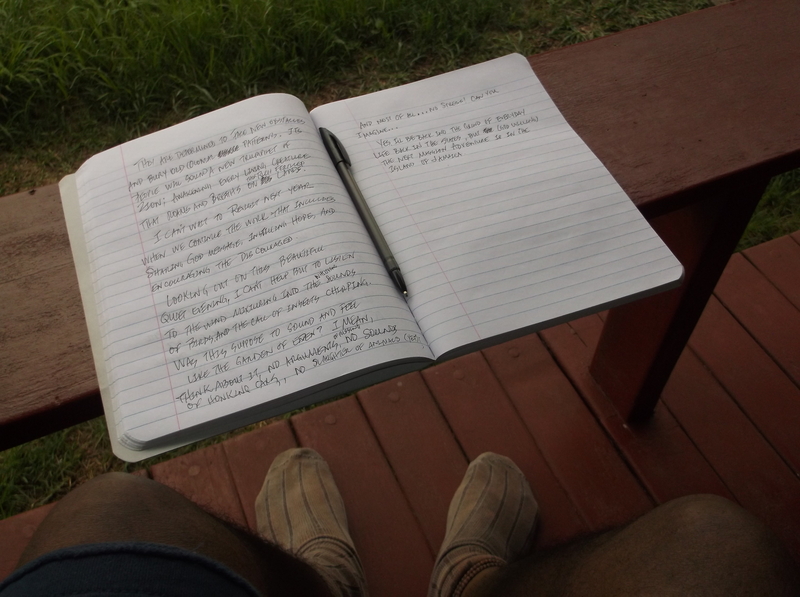 The training and planning for these summer journeys consumed much of my time – including the opportunity to write on occasionally on my blog. Never-the-less, the time and dedication to serve the teams were worth the brief hiatus. I came away from this experience knowing that each team member was able to passionately serve the people of Jamaica and Haiti! In July this mission group, tagged as “NavySeals10,” truly exuded a raw sense of passion for the people of Jamaica. Team members were eager to go out each morning to engage the people on the downtown streets of Montego Bay. And every afternoon on the hillside of the country, the team would spend quality time with inquisitive, yet excited children of Jamaica. No one exhibited a tepid attitude nor did they become recluse to any of our day-to-day assignment. These passionate mission servants were willing to do whatever, give to whomever, and go wherever. They made themselves available to serve. They paid attention to the needs of others. We spent most of our time in an orphanage one hour south of Port-au-Prince, Haiti. Every gentle hug, every smile displayed, every positive affirmation given, and every cheerful expression was intended to speak directly into the heart of our Haitian children. These passionate mission servants were willing to provide hope and comfort in God. We are now preparing for next year’s collection of uniquely designed mission travels with an expectation of training and sending 95 passionate missionaries throughout the world. Do you have a passion for serving others? Visit my ministry’s website at www.lifewalkmission.org and discover the wonderful opportunities to become a G.P.S.! As the cool invisible mountain breeze of East Africa rolls over the last glowing sunset of my April stay here, I imagine what the Prophet Elijah must’ve felt while resting in the wilderness after the Jewish princess Jezebel threaten to kill him. With its lush green views from the lanai of my guest room at Lake Nakuru Resort, I felt well rested after a long, but successful mission journey here in Kenya. God used me mightily at every turn, trekking some distance of about 16,400 miles in total! Every encounter with people young and old was a humbling experience. Despite the human casualty of 149 university students killed in the town of Garrisa three weeks ago, the Kenyan people are resilient and strong. They are determined to face new obstacles and bury old colonial-ruled lifestyle patterns. Its people will sound a new trumpet of Zion; awakening every living creature that roams and breaths on their rich fertile lands. I can’t wait to reschedule my spring visit next year and continue the work of sharing God’s message, instilling hope, and encouraging the discouraged. By looking out onto this beautiful quiet sunset evening, I can’t help but to listen to the blowing wind mixing with the whistling chirping of birds and the call of insects boldly declaring their presence to the world. Was this temporary image supposed to give me the feeling of the Garden of Eden? Think about it, no arguments of fussing, no sounds of honking cars, no slaughter of animals….yet! And most of all, no stress! Can you imagine…. By the time you read this, I’ll be back into the grind of everyday life back in the United States, but (God willing) the next mission adventure will be in Jamaica W.I. this summer. My prayer for the country of Kenya is that God does a new thing for its people. His plan will bring a cool fresh breeze on its people to become more unified than ever before. His blowing clear wind will remove the tainted attitudes and His gentle hand will be open to welcome those who will surrender to Him. My personal prayer is that you’ll join me in 2016. Newly scheduled international mission trips will be posted on our website starting this week (June 5)! To view each destination, please visit: www.lifewalkmission.org. Perhaps next year while sitting on the lanai, I’ll look to the left or right of me and see you too, wearing worn socks and writing your mission journey in Kenya! By the end of that day, you accomplished what you needed to do – and then something occurs…you want to do it again the next day! And then repeat it in the coming days. That’s when you know you a Full of Passion. Some people go on to build on that level of Passion while many will succumb to distractions. You can find many people in the entertainment business chanting how they struggled in the early stages of their career. One person in this business comes to mind – Sean Combs. This forty-five year old mogul (American rapper, record producer, actor and entrepreneur) shares intimate details on how he had to work hard in the early days of his pursuit to become famous. One story is the time when he sold his own music out of his trunk! It’s that unique energy one must have to stir the heart and mind. Even on days when the body isn’t strong enough to execute – the heart beats for more! It is people like Mr. Combs who will be remembered or studied for years to come. It is also people in your neighborhood who overcame great challenges – they too will be remembered. The passion they had is profound. What about your passion levels? Are they boiling over, simmering or just room temperature? The challenge is to assess where you are today, build a plan and take baby steps toward your passionate endeavors! The Learning Channel (TLC) – What Not to Wear! An hour-long show where every-day individuals receive professional fashion intervention. Relationship expert Iyanla Vanzant pulls back the curtain on what is broken in people’s lives. funny, fresh, insightful and common sense approach to everyday problems. I’m sure you may have similar shows to add to the list above. I do however find something in common at the end of each of these shows. Most often, the person they target or focus in the show tend to blossom for the better!